This three-row box never caught on. Ford had high hopes when it launched the Flex three-row crossover back in 2007 for the 2008 model year. Sure, its exterior design was not exactly conventional but it was one of the first crossovers on the market to offer three rows of seats and lots of interior space in general. Today, automakers are scrambling to get three-row CUVs on sale as fast as possible. 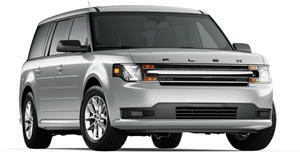 Ford definitely had foresight but the Flex still failed to catch on despite its many positives. We already knew the Flex will be given the ax for 2020, making 2019 its final model year. What’s new for this 11-year-old crossover? Ford Authority has compiled a list of the changes for 2019 and, not surprisingly, they’re not major. First up, Ford is adding two new exterior color choices, Agate Black and Stone Gray. Shadow Black and White Gold have been dropped. 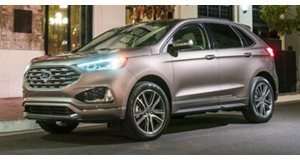 The trim levels, SE, SEL, and Limited have been carried over from last year. The only other difference for ’19 is for the interior and it’s very minor: the power converter 110V outlet is now called "110V/150W AC power outlet”. Yep. Ford decided to do that. And that’s it. The 2019 Ford Flex is pretty much identical to last year. There’s not even a ‘Final Edition’ trim of some sort, which is kind of disappointing. Sales of the Flex hover at around 20,000-22,000 units annually for the past few years, but those figures are not particularly impressive when compared to the two-row Edge crossover, which last year sold 134,122 units in the US alone. Sales for the Explorer are even more impressive with over 250,000 examples leaving dealership lots in 2018. Now that the completely redesigned Explorer has arrived, there’s simply no reason for the Flex to continue. What about a redesign instead? No need because the 2020 Explorer already offers three rows for a similar price. And, let’s face it, the new Explorer has a far more attractive and conventional exterior design than the Flex. But still, the Flex was somewhat ahead of its time and it had a good run. And it's not just because it's an SUV. 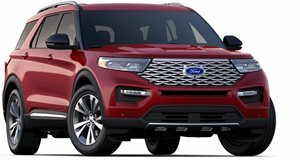 It’s the most popular SUV in this segment – but does that mean the Ford Explorer’s also the best-in-class?